Salt Lake City is home to a thriving small business community, and Flow Wall is honored to be a part of that growing movement. Running a small business and making it successful involves a whole team of dedicated individuals, and at times, it may feel like a thankless job. Luckily, hard work can pay off and today we’re proud to announce that Flow Wall has received the 2016 Salt Lake City Small Business Excellence award in the Home and Garden classification. This accomplishment could only have come through the invaluable help and support of our excellent employees, our wonderful customers, and the Salt Lake City business community. The Small Business Excellence Award Program, which administered the award, puts a lot of focus on the quality and not the quantity of local businesses. They are dedicated to recognizing outstanding small businesses who contribute to the local economy and are shining examples of what Salt Lake City has to offer the world. What can you expect from a company like Flow Wall? 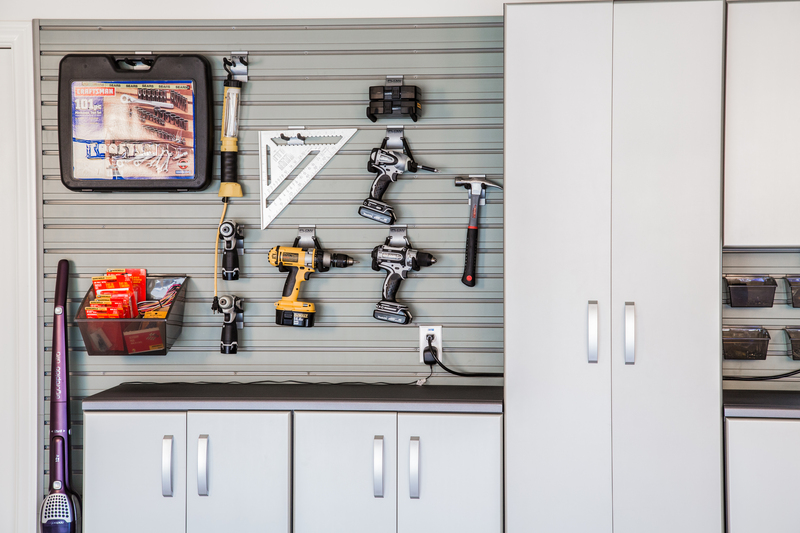 We’ve designed the most effective way to organize your garage, laundry room, or tool shed, period. We’ve engineered and optimized organizational kits and components such as cabinets, shelves, and bins to help with all your storage needs. Ranging from starter kits to custom solutions, you will be sure to find a system that suits your needs. If you feel you are not savvy enough to set up these kits on your own, our installation videos can help. Not sure where to start? Get inspiration through organizational tips and ideas on building your dream space. We offer online planning guides to walk you through the process of identifying your storage needs, measuring your space, finding the right storage equipment, and helping to make the most out of your space. The Flow Wall mission is to create products that make organization easier for you. Not harder. We strive to provide our customers with an easy-to-use and fully customizable organization system. We are passionate about helping our customers take control over their space and enjoying a clutter-free garage, shed, or workspace. Check out our blog for hacks to make garage organization easier or help getting a permit for home renovation, in addition to many more DIY topics. With regular articles and customer photos, we can show exactly how you can get the most out of your Flow Wall system. To get started building the organizational space of your dreams, contact us at 877-203-5974. Our operational hours are Monday to Friday, from 7am – 5pm MST. With headquarters in Salt Lake City, we’re proud to call Utah home. Organizing should be stress-free, rewarding and fulfilling. We can help establish and simplify the plans you have been dreaming of.